vietnam — ...and we're off! When Carla and I stepped off the plane into the cool Hanoi night we felt a blend of excitement and nervousness. We had both been looking forward to our time in Vietnam ever since getting our visas months earlier, but we knew eight days here would push our boundaries in a way that Europe or more developed Asian countries would not. The cab ride into town revealed a very different city from Shanghai. Instead of a 270 mph Maglev train, we weaved in and out of traffic at about 30 mph, surrounded by motorbikes on a dusty road. Along the side of the highway many families and friends gathered in open-front buildings for dinner on small picnic tables. Selfishly for us, Hanoi’s relative lack of development means the dollar goes very far—we arrived at our nice independent hotel that cost less than $30 per night. The room even had a balcony with views of the perpetually hazy skyline. We were very curious to see what it all looked like in daylight. As we usually do in a new city, Carla and I spent our first morning wandering between our hotel and the city center to get a feel for our new surroundings. As soon as we stepped out the front door we noticed the traffic. This is not the frustrating, standstill traffic of most American cities—Hanoi traffic is nearly all motorbikes and they accelerate, decelerate and weave around cross-traffic like a school of fish might. Intersections are often unregulated, meaning the middle is a cross-hatch of motorbikes passing within inches of each other. Needless to say, they don’t brake for pedestrians. You just have to start walking and they weave around you. To make walking more unpleasant, the little engines provide enough pollution to force most drivers to wear masks. This guy pointed at a hole in Carla's shoe and demanded to fix it on the spot. Once we got the hang of crossing streets we were able to appreciate the architecture and sidewalk culture. In the old part of town, streets are lined with wide trees and skinny buildings, each with multiple balconies. The first floors are almost all small businesses, usually with apartments showing plenty of French colonial architectural detail above. However, the sidewalks are the most interesting part of the city. 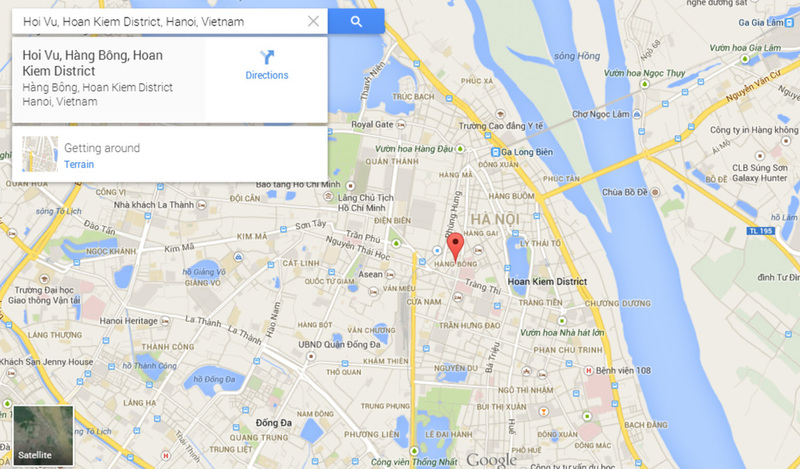 Much of a central Hanoi resident’s life takes place here. It is very common for a living room to open directly out into the sidewalk with maybe half a wall suggesting where the “private space” begins. Meals are often eaten either out front or at one of the countless street food stalls serving banh mi (Vietnamese baguette sandwiches), grilled meat or pho (noodle soup). These stalls serve almost exclusively locals and take up large portions of the sidewalk where everyone dines on plastic kiddie tables and chairs. Used dishes are washed at spigots near the gutter. Between or after meals, many locals can be found sitting on the sidewalk in front of cafés, sipping tea or drinking cheap beer. Certain popular areas become drinking scenes at night, with dozens of kiddie chairs crowded around each café. Most small shops also open out onto the sidewalk with goods laid out in front of the store and an employee ready to pounce on anyone who slows down. People fix and wash motorbikes, build funeral flower arrangements, sell cigarettes, have wedding receptions, and do just about everything else on the sidewalk. And if this weren’t enough, any spare sidewalk space is used for motorbike parking. I found this public lifestyle to be an interesting product of the city’s density and relative poverty, but most of all its highly social culture that represents the opposite of the American back yard. While Carla and I did spend a little time on sidewalk kiddie chairs, the hygiene practices of many of the food stalls made us nervous. However, that didn’t keep us from eating delicious Vietnamese food given that a meal at a decent restaurant might set you back about $4. Again, the 20,000 to one exchange rate says something about how far a dollar goes. Our favorite dish was pho, which is a noodle soup defined by its savory but light broth and topped with cuts of pork, chicken or beef. In contrast to nearby countries, Vietnamese food is light and fresh with more subtle tastes than you’ll find in pad thai. Our walks around Hanoi eventually took us a little further from the city center and it became apparent that Hanoi was the poorest city we had been to so far. One particularly dismal neighborhood consisted of shanty-like apartment buildings that were pressed tight against a railroad track instead of a street. However, this railroad track was the same bustling sidewalk scene of people sitting out and spending time with neighbors. Kids were playing, adults were laughing and while these people may not have been completely happy, they did seem to have a real community. We were sorry to leave Hanoi after three nights. The city’s narrow streets covered in craggy tree branches, intricate stacks of balconies, independent shops, small cafés and vibrant sidewalk culture made this a place that will always stick in my mind. 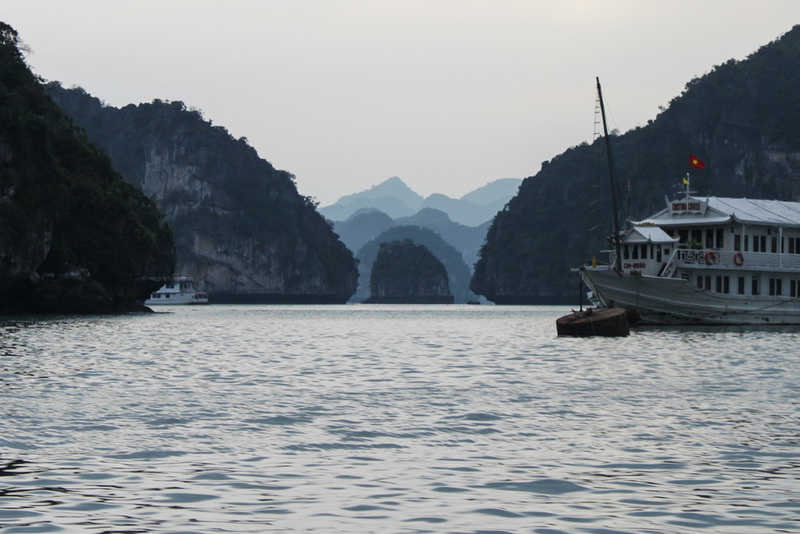 A peaceful morning in Halong Bay. Our next stop was an overnight visit to Halong Bay, an absolutely gorgeous archipelago of mountainous islands about four hours east of Hanoi. On the bus ride there, our guide happily explained to us the occasions on which people here eat dog (don’t worry, it’s not an everyday thing). Once we finally got out of Hanoi, which sprawls for miles towards the coast, we were led to the boat that would be our home for the next 24 hours. Although the boat was a little run down, the scenery more than made up for it. Halong Bay is one of those places you’ve seen in pictures all your life without ever knowing exactly where it is, but you know you want to find it someday. The rock formations rise abruptly out of the water, where they are immediately met by jungle foliage. When we took kayaks out into secluded corners of the bay, we could hear monkeys chattering and swinging from tree to tree. One of the best parts of the tour was a stop at an enormous cave. It was hundreds of feet long and several stories high with beautiful stalactites and formations throughout. I can only imagine what it must have been like for the explorers who first stumbled across it. The cloudy, misty weather lent an eerie calm to the bay. If not for the (literally) hundreds of other tour boats it would have felt like another planet altogether. That night things took a turn for the worse. We made some new friends at dinner (all from different European nations) and drank cheap beer and Vietnamese propane wine until late. When we finally got down into our cabin we were confronted with the rank smell of garbage. It turned out we were actually right next to the garbage room. After getting somewhat used to the smell we got into bed and shut off the lights. Almost on cue, we heard the absolute roar of a gas engine starting up. We were right on top of the generator room as well. It was like a Harley Davidson with the muffler cut off. The noise went all night and we had the worst night’s “sleep” of our pretirement so far. After a relaxing but bleary-eyed morning on the top deck of the boat we started the long day of travel to Saigon. When we arrived that night we had finally found what we were hoping for: tropical air. After spending about two and a half weeks wearing jackets and hats, the hot part of our Asia trip was about to begin. We had booked another nice boutique hotel for under $40 per night, which felt like the best decision of our lives when we walked in at 1:30 AM. Needless to say, we spent our first morning sleeping in. 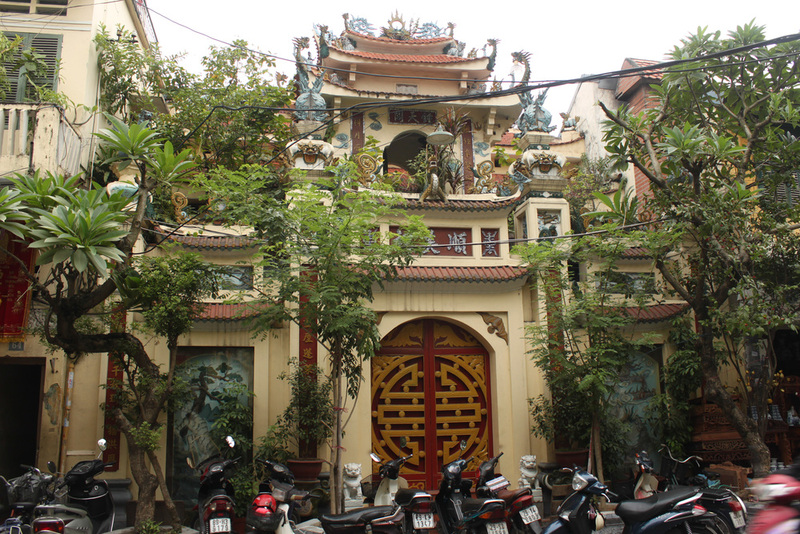 Saigon is a very interesting city, particularly after spending time in Hanoi. While the cities are about the same size (each about as big as Chicago), the higher level of development in Saigon is immediately clear. Prices are higher, streets are wider, buildings are nicer, and there is even a Gucci / Chanel / LVMH district downtown. There are beautiful, well-landscaped parks in the middle of the city that are always full of exercising and relaxing locals. While the traffic is still a frantic motorbike scramble, there are many cars mixed in and the wide boulevards actually keep people moving from place to place. The most obvious sign of Saigon’s relative success is the cluster of tall, modern buildings downtown where Hanoi just has sidewalk markets. 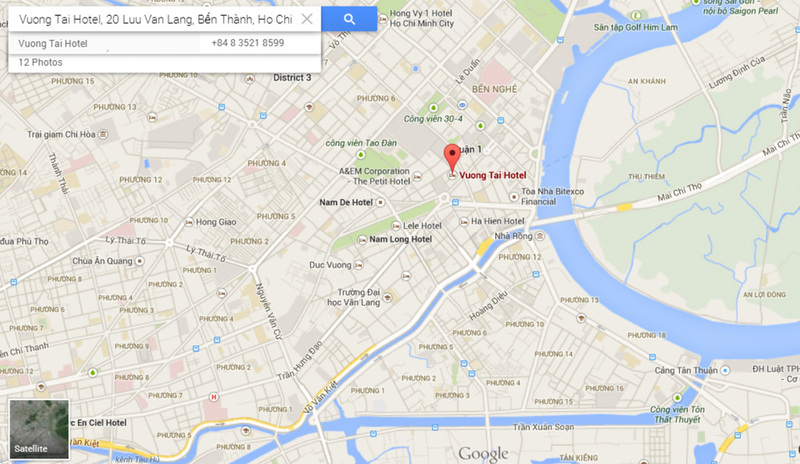 Like many visitors, our first taste of Saigon came on the street Bui Vien. This is where you can find the highest concentration of backpackers, but it is also a prime nightlife spot for locals. After sundown our first night we pulled up a pair of plastic kiddie chairs, cracked a couple of 60 cent Bia Saigons and joined the crowd that was already watching Friday night get going. People watching is as good as it gets here—there are old white guys with young Vietnamese girls, spacey-looking backpackers, shifty locals trying to sell drugs, thinly veiled brothels, dried squid vendors, fire eaters, rich Vietnamese 20 somethings in BMW convertibles, local girls in absurdly short skirts riding in on motorbikes and pre-gaming for the club, and the odd kid threading a live snake up his mouth and out his nose. It’s no wonder all the kiddie chairs are lined up facing the street like stadium seats. The next day we walked over to the War Remnants Museum, which was a fascinating take on the Vietnam War from the other side. The museum doesn’t even try for objectivity in its portrayal of events, but seeing the current government’s view of the war makes this an even more interesting experience. The most horrifying part of the museum, and one you don’t hear as much about in the US, is the section on agent orange. This American pesticide was dropped on swaths of Vietnam during the war and found its way into the genetic makeup of some Vietnamese. Even today children are born completely deformed and mentally handicapped due to this chemical. It’s a solemn testament to how snap decisions about new technology can have the most far-reaching and unfathomable consequences. After nine nonstop days in Shanghai, Hanoi, Halong Bay and Saigon, we were ready to take it easy by our last full day. We set up our computers that morning in a nicely air-conditioned bakery and worked on the blog while eating delicious Franco-Asian pastries and egg tarts. Our last night we went for a long walk around the city and soaked in the Saigon chaos one last time before flying out to rural Cambodia. Saturday night on Bui Vien in Saigon. Just your average kid earning his nightly wages.